Let’s face it… running a business is hard work. It often means learning skills that have nothing to do with the product or service we offer. The problem is, there isn’t a great way to learn the information we need to be successful. And it often feels like we’re on our own when it comes to implementation. That’s where Brews and Business comes in. We bring in an expert each month to guide us through a topic ranging from foundational business principles to innovative marketing strategies. Through group masterminds, we foster collaboration amongst business owners in Yamhill Valley. If you have the ambition to always improve your business, we’d love to have you be a part of this group. You’re invited to join us at Barley & Vine every 3rd Thursday from 5pm – 7pm. We’ve put together an awesome series of educational gatherings that we hope you’ll find informational and helpful in your business ventures. 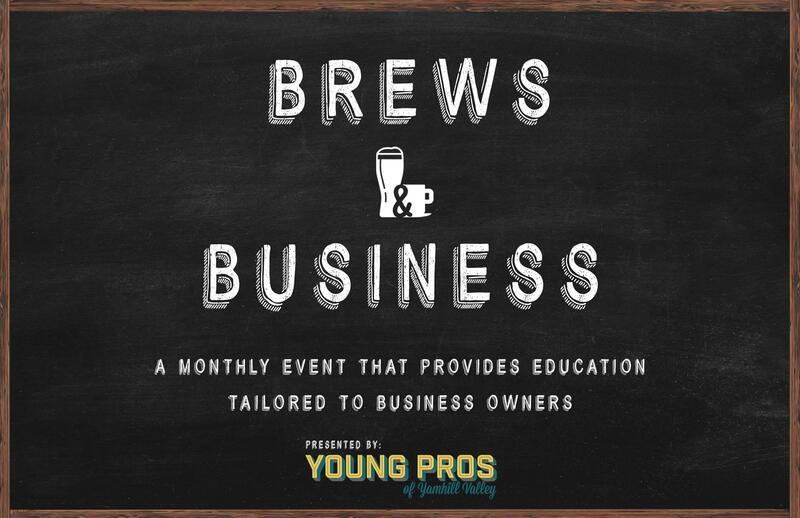 For more info and to contact the Brews & Business chairs, find us on Facebook at @BrewsandBusiness.